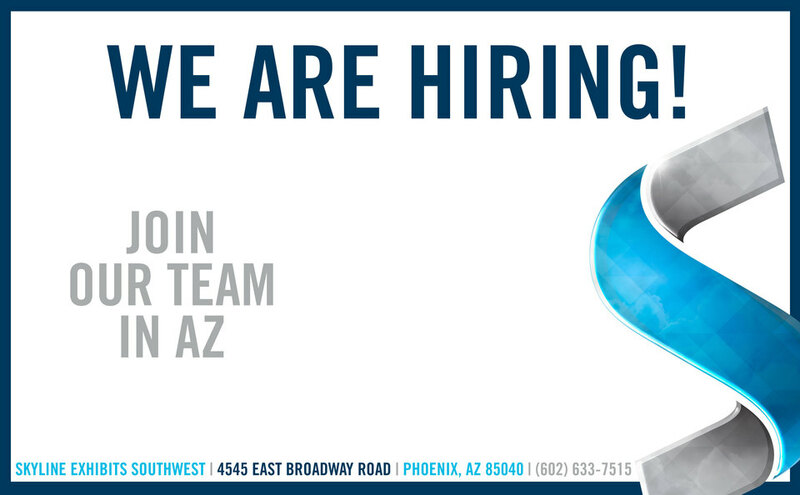 We are searching for experienced sales professionals to add to our local team. 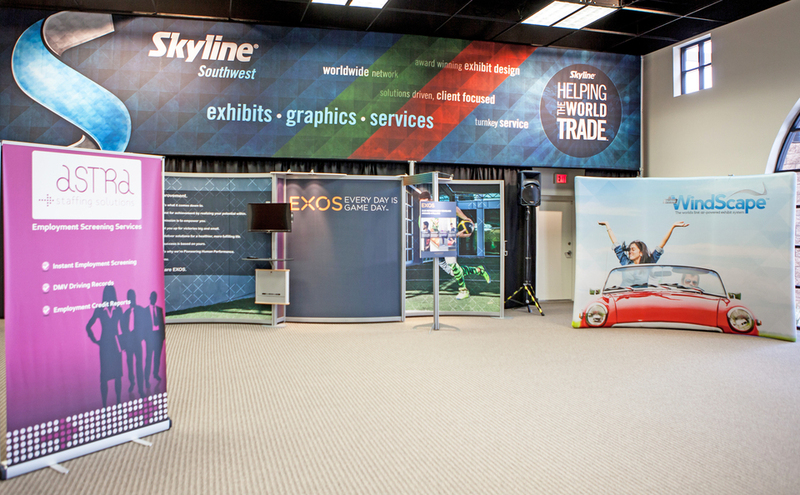 Skyline Exhibits Southwest is an industry provider of display manufacturing and marketing exhibit solutions. 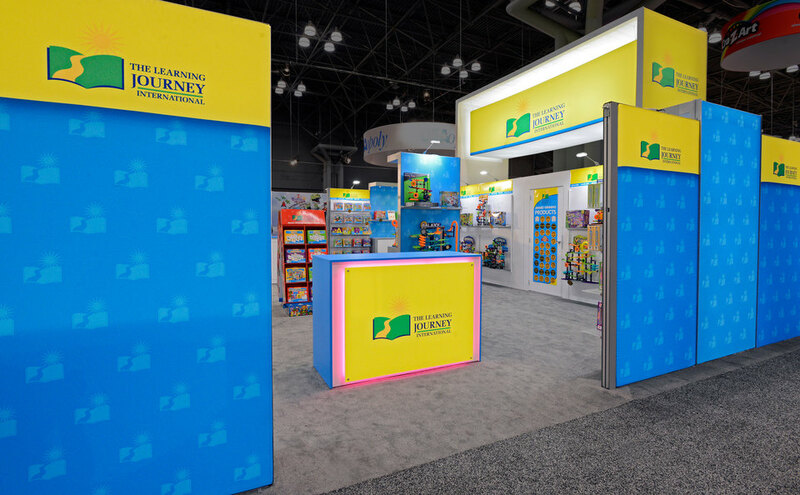 We help you meet your exhibit marketing objectives with design-driven structural inline and island solutions that lower your exhibit operating costs and maximize your ROI. 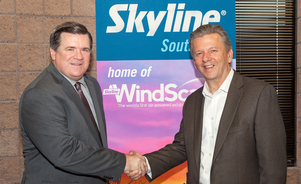 "Skyline is in business to help our clients succeed" says Bill Dierberger, President of Skyline Exhibits. "We live by our motto: Helping the World Trade. Trust that when you partner with Skyline, our single goal is to help you trade." As Skyline's only authorized dealer serving all of Arizona and New Mexico, we couldn't agree more. 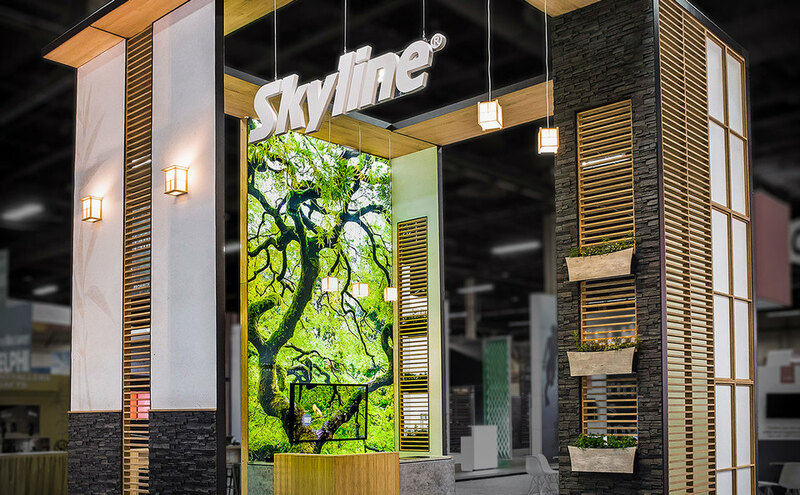 Skyline is an award-winning manufacturing company. Although we are proud to be known for producing quality trade show displays, this is just one of the many trade show services we offer. Graphic design and production, exhibit rentals, installation and dismantle capabilities, storage and asset management, and sharing trade show knowledge and tips are a few more of the trade show services we can assist with. But it doesn't stop there! Our Creative Services Group now offers clients a range of creative services from enhancing their trade show results to completely building their brand. Check out our Services page to learn more. With our show room and sales office located in Phoenix, our local team members can meet with you in person to review your current trade show and event marketing program and goals. Our show room is filled with samples of our different product lines to allow you to see them firsthand and gauge which product may be the best fit for your company. Working with Skyline Southwest also offers you direct access to Skyline's distinguished worldwide dealer network. 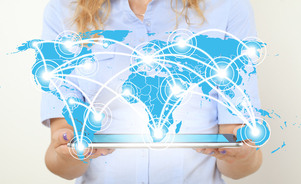 Wherever in the world you may be exhibiting, we can always be your point of contact and get you connected with our skilled and experienced colleagues around the globe. 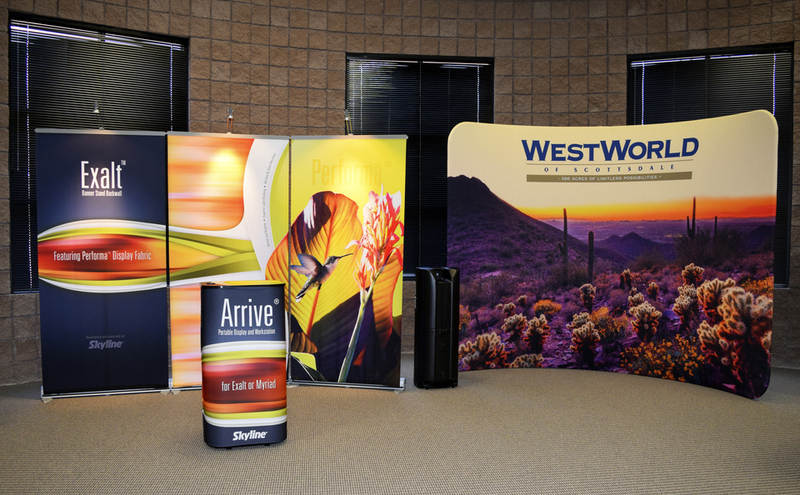 We pride ourselves on bringing you the highest quality trade show products and dedicated customer service. 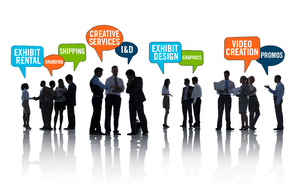 Get in touch with us today to see how we can help you transform your exhibit marketing program.